If you cannot attend, please consider making a contribution. 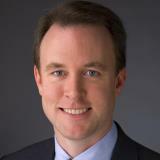 ● Ed FitzGerald is a husband, father and lifelong public servant. ● He worked his way through The Ohio State University and evening law school and became a Special Agent with the FBI, taking an oath to serve the public and to put people first – a commitment that has shaped his adult life. ● As an FBI Agent, Ed was assigned to the Organized Crime Task Force in Chicago, investigating political corruption and Mafia influence, helping to bring the infamous Cicero crime syndicate to justice. ● After his FBI service, Ed returned to Ohio, serving as an assistant county prosecutor and eventually Mayor of Lakewood. ● As Mayor, Ed made government smaller and more efficient while still making major investments in public safety and job creation. ● Under Ed’s leadership, Lakewood was recognized as one of the best places in Ohio to raise a family. ● Ed was elected the first Cuyahoga County Executive, following one of the largest public corruption scandals in Ohio’s history. ● He restored the public’s trust by implementing tough ethics laws and significantly reducing the size of government. and is establishing the largest college savings account program in the country to foster a culture of high education in Ohio.